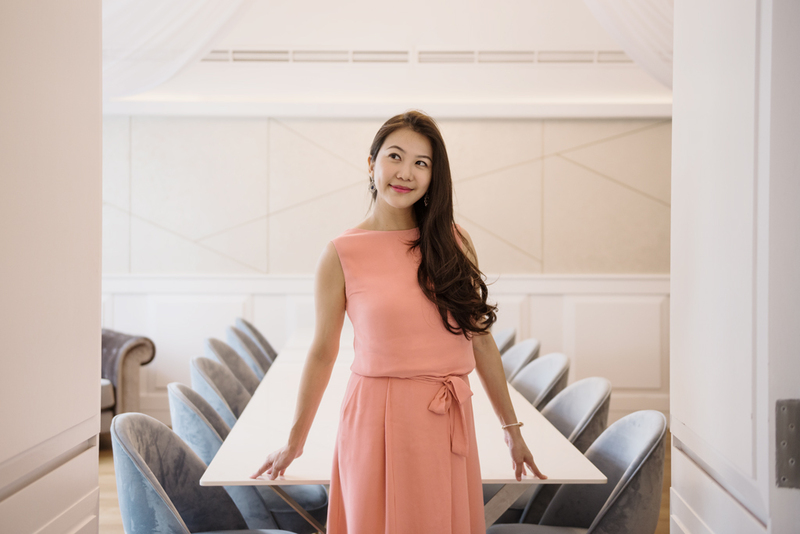 Ms. Jolin Lee’s background in business and IT, combined with an inherent love for food and entertaining, resulted in a divine business revelation that surprisingly works. With a background in IT and business, can you tell us what led you to the F&B industry? I’ve always enjoyed dining out, whether for work or leisure, and through that, I met many like-minded foodies and wine lovers. We would often gather over our favorite bottles and just have a good time at home. So while we had great wines in a relaxing atmosphere at home, we would crave good food and service that made us feel pampered. I then had the idea of starting a private chef service as I had a few good chef friends; and beyond that, a personalized service that complements the entire experience. And so that was the advent of my bespoke catering service Divine Palate, which started in 2014. Xin Divine is an extension of my F&B passion – a showcase for creation and innovation. What did you aim to achieve when you started Divine Palate? We wanted to offer our customers a unique, personalized and comprehensive experience to make their gastronomic dreams come true. Good food must be accompanied with suitable plating, glassware and of course, impeccable service. I’m proud to say that in the short span of four years, we really carved a niche in the market and have taken bespoke catering to a whole new level. When Divine Palate was up and running, did you already have plans of following it up with a restaurant? Actually, no. While Divine Palate was (and is) going smoothly, I was apprehensive about opening a restaurant at the time, being well aware of the high risks it entails. However, after operating Divine Palate for some time, I built up the confidence to explore new territories. By then, I had carved out a good customer base and built good relationships – many of whom have become close friends. Good food really brings people together, and it was only then that I gathered the courage to open my very first restaurant. Tell us more about Xin Divine. 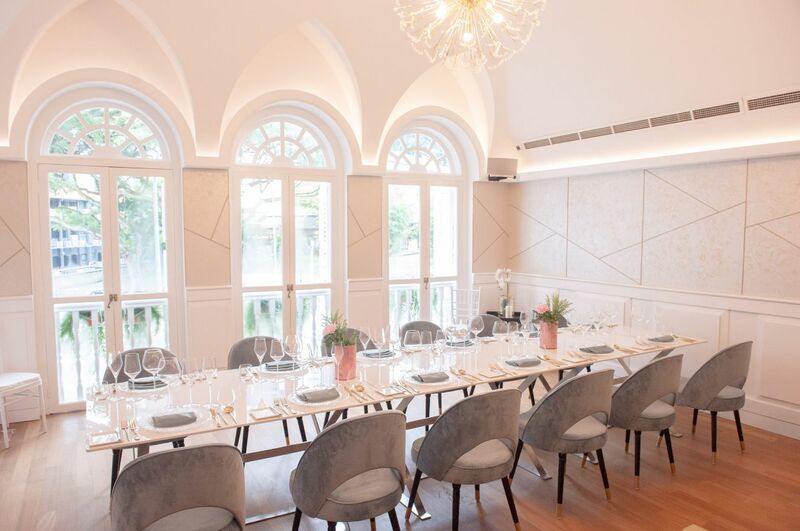 What was the inspiration behind it and how did you put everything together beautifully – from the interiors, the menu, to the harmonious working relationship of three chefs with different styles? Xin Divine is an extension of my passion in F&B and Chinese cuisine, and I am blessed to be surrounded by very capable and talented individuals – from chefs to front of house management. As we are also very events-driven, the space is deliberately kept very neutral, elegant and conducive to hold a variety of events. My team of chefs quickly overcame any initial obstacles of language and differing cooking styles to bond and work very closely as a team – for which I am very grateful. I believe that no matter how far you have come in your career, there will always be something to learn. The three head chefs – each specializing in Cantonese, Sichuan and Modern European – all work brilliantly together now and are learning from each other. What lessons from your IT and business background proved helpful in running your F&B businesses? What would you say is the greatest challenge you face now? 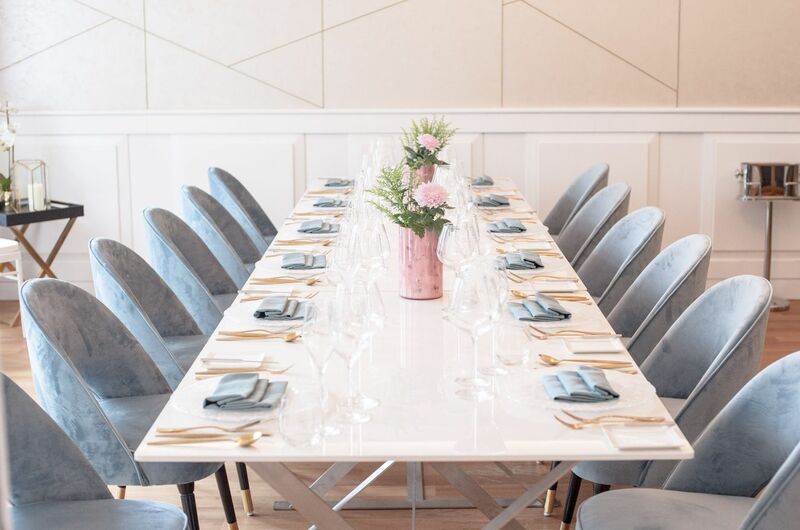 My business strategy for Xin Divine and Divine Palate is very much about personalization – almost like how one would run a private club that caters to the needs of its members. My background in IT and business taught me about being agile and flexible. In the IT world, you are constantly faced with changes and new developments. Similarly, F&B is an industry that moves at bullet speed – with customers being constantly exposed to trends and new concepts. I believe in guiding my team to be able to adapt accordingly. My background has also taught me to lead objectively and not be swayed by emotions. Approach the problem constructively and deal with it objectively. In our restaurant, we work with a team of people from different backgrounds and walks of life, and my role is to lead and guide them in a way that is aligned with our business strategy, while maintaining good relations and camaraderie. I have also garnered very good contacts from my previous jobs – these have over time, become very good customers and friends. The main challenge is to ensure we always have something new and exciting for my customers. My team and I are always striving to create and innovate. This is the heart of Xin Divine.